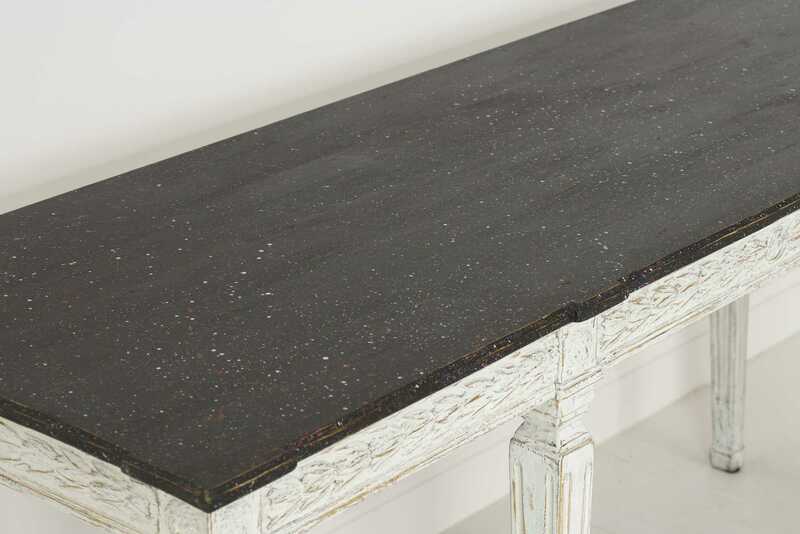 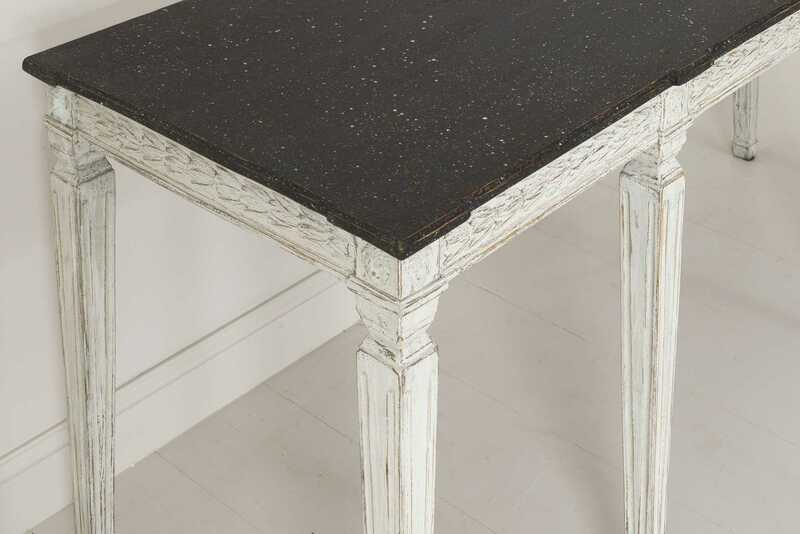 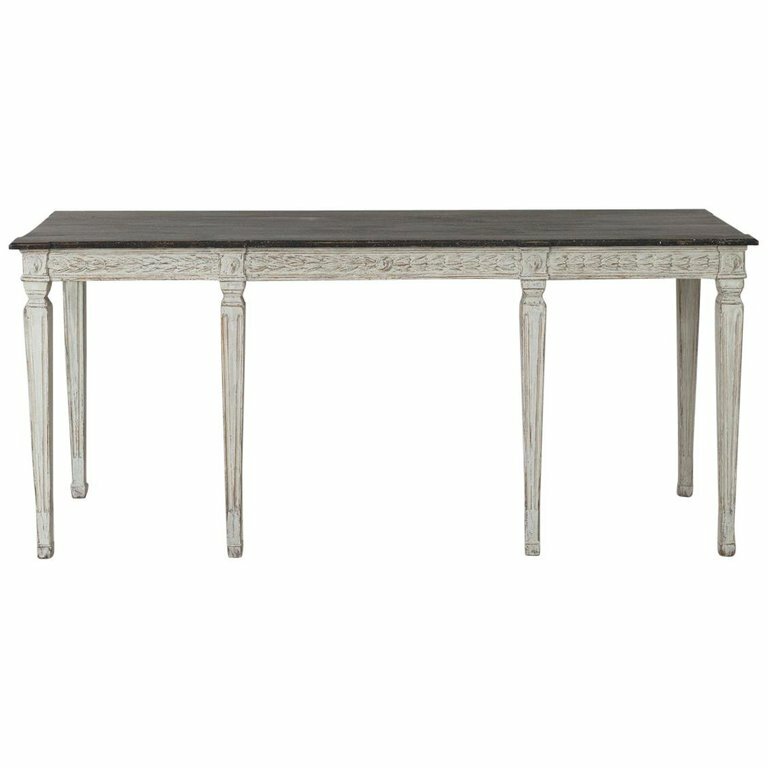 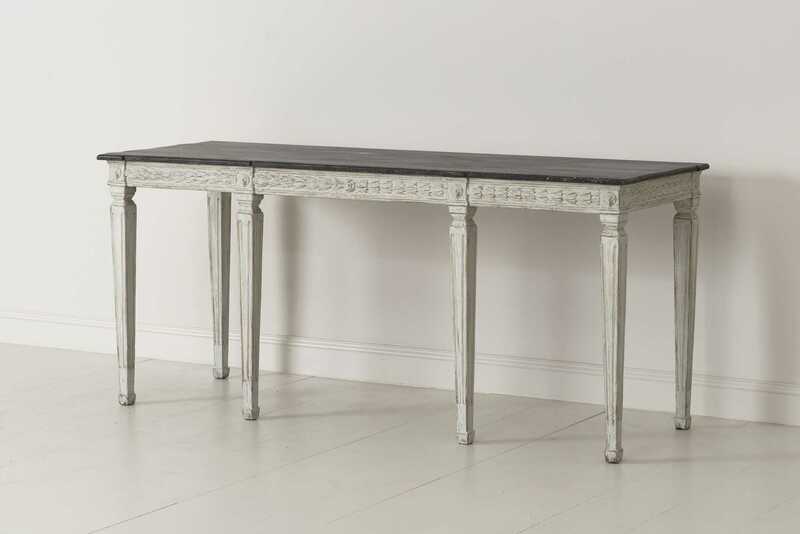 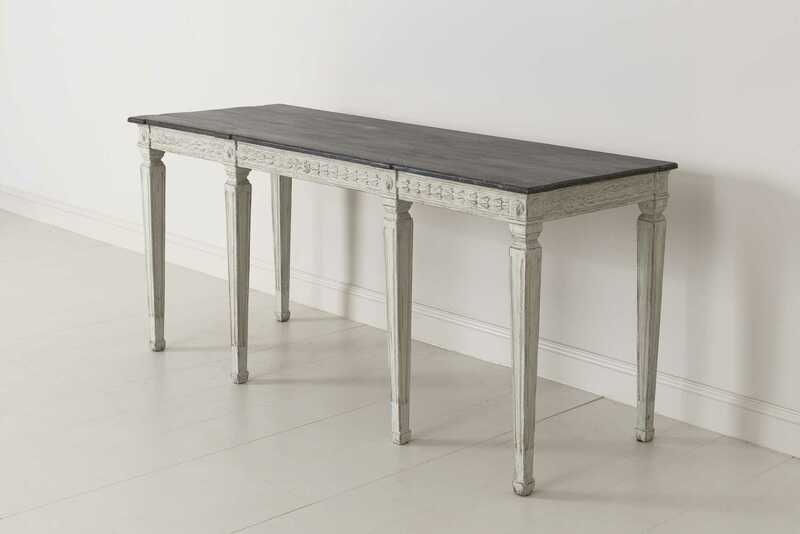 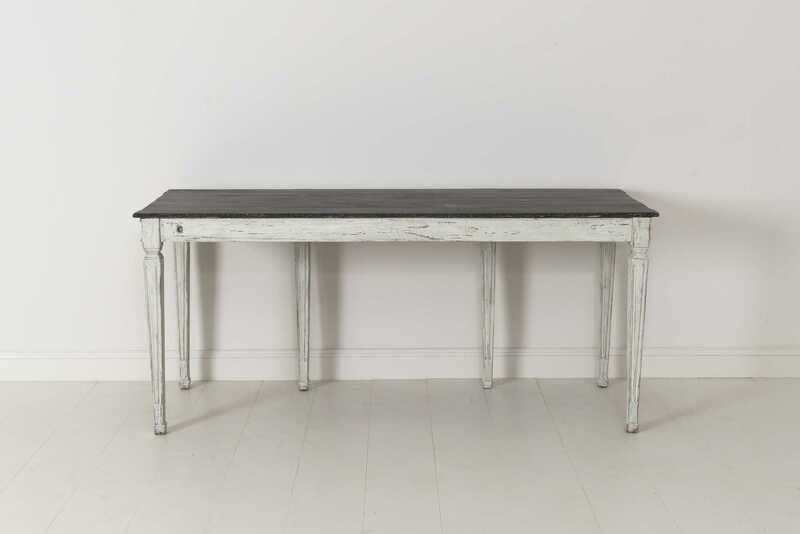 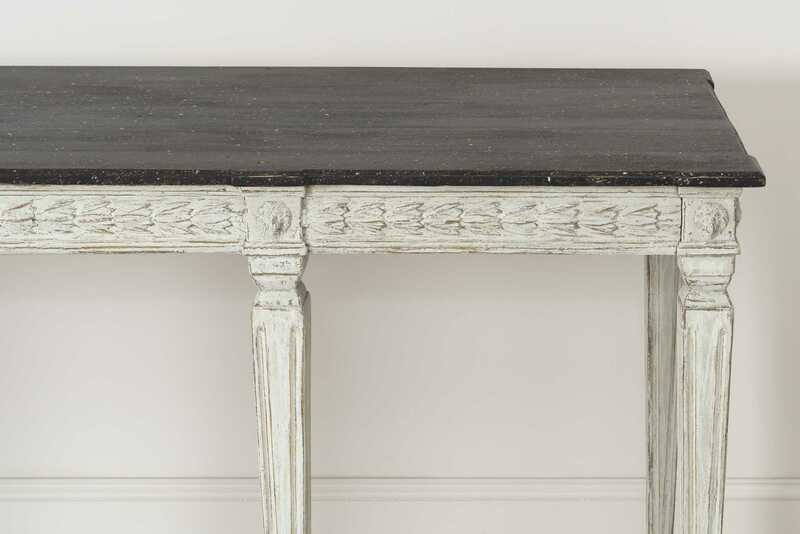 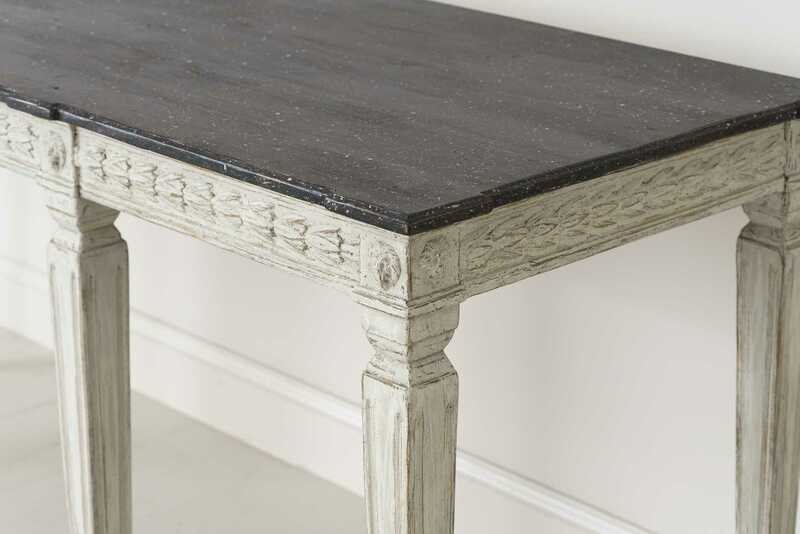 19th Century Swedish Late Gustavian Console Table with Hand Painted Porphyry Top | Maison & Co.
Swedish late Gustavian console table from the 19th century with hand painted black porphyry top. 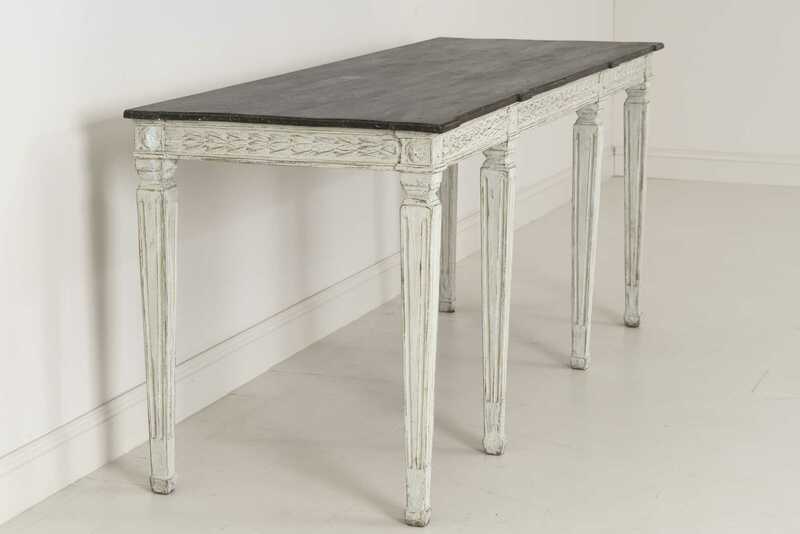 The apron is decorated with bell flowers and the leg posts with lion heads. 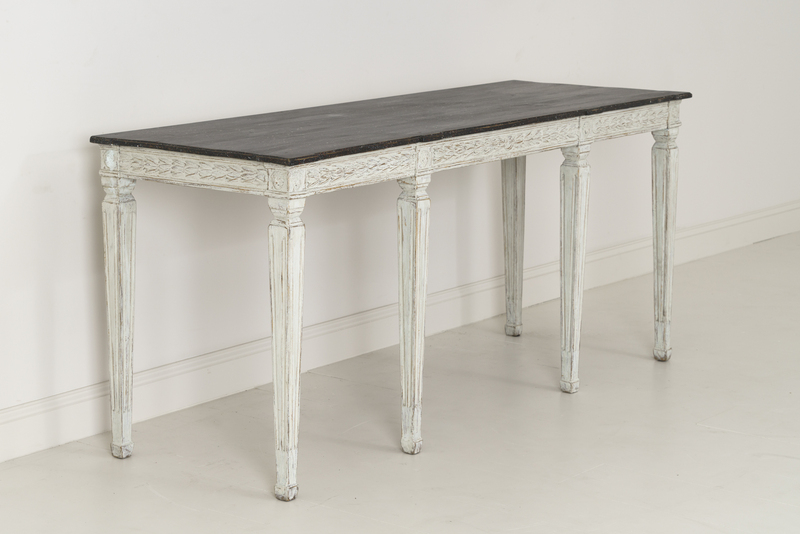 This beautifully Classic table is raised upon square tapered and channeled legs.